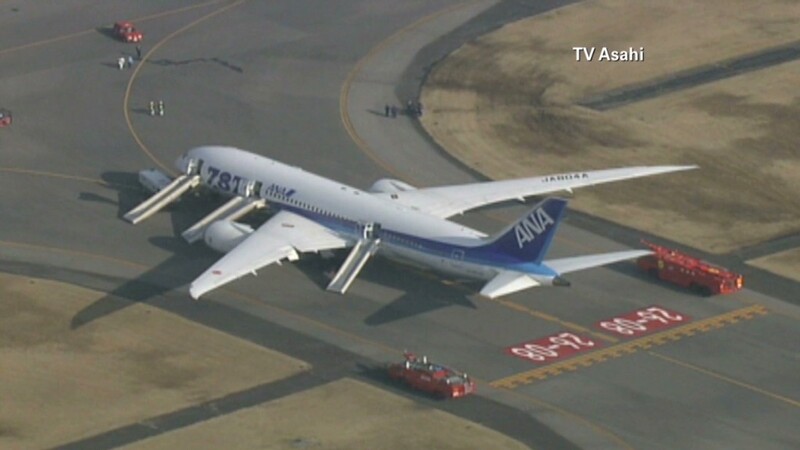 This Dreamliner flight on Japanese carrier All Nippon Airways had an emergency landing Wednesday due to a fears of a battery fire. Boeing bet big on the 787 Dreamliner, an innovative jet that was the most expensive commercial aircraft ever developed. But the Dreamliner has also been a nightmare of execution, as Boeing (BA) found it difficult to bring together all the components of its most outsourced aircraft ever. Here is a rundown of some of the issues involving the Dreamliner. Why is the plane important? Boeing used lighter composite materials rather than aluminum for the plane's structure, and electrical systems rather than traditional pneumatics to control the aircraft. That allowed the Dreamliner to be about 15% to 20% more fuel efficient than comparable jets. For airlines eager to save even 2% in fuel costs, that was a crucial breakthrough. So far, 58 customers around the globe have ordered 848 of the $200 million jet. What's the target market? The jet's fuel economy gives it a range of between 7,650 to 8,500 miles, making it best suited for transcontinental flights. For that reason, it's been particularly attractive to Asian and Middle East carriers that depend on long-range global flights, rather than domestic flights, for a greater percentage of their traffic. What U.S. airlines fly the plane? United Airlines (UAL) is the only U.S. carrier to have taken delivery of the plane so far, flying six of the jets until Wednesday's grounding by the FAA. It has another 44 on order. Delta Air Lines (DAL) is the only other U.S. airline with announced orders, agreeing to buy 18 of the jets. A number of aircraft leasing companies, such as AIG (AIG) unit ILFC have also ordered the jets and might have U.S. customers lined up. Is this the first problem with these planes? No. The first commercial flight in late 2011 was more than three years behind schedule due to design problems. There were also issues related to Boeing's use of subcontractors for many aspects of the aircraft, which made it harder to put the plane together. Are these normal problems for a new jet? Some problems of recent weeks, such as fuel leaks and cracks in the windshield, are the type of new plane kinks that generally don't get any attention. 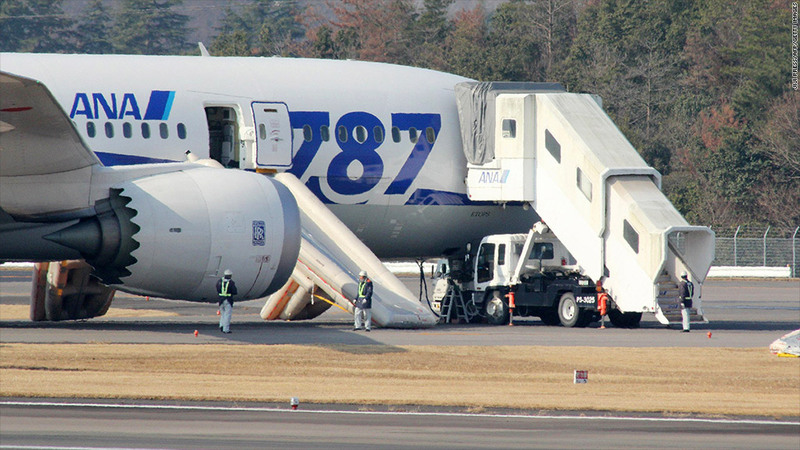 But according to experts, some of the latest problems with the Dreamliner go beyond the normal "teething" issues. The key problem being investigated by the FAA involves the plane's electrical system after its lithium battery packs, high-efficiency batteries essential to the outsized need for power, caused smoke on a flight. Lithium batteries have had problems with fires in other applications, from laptop computers to General Motor's (GM)' plug-in electric car, the Chevrolet Volt. "Our experience has shown that random electrical issues with aircraft can be very difficult to troubleshoot," said Carter Leake, aerospace analyst with BB&T Capital Markets. "If the problem is in the software, there are millions of lines of code to examine. If the problem is in the wiring, there are over 50 miles of wiring and 50,000 connectors that could be the cause." Did Boeing make a mistake with the Dreamliner? Probably not. Back in 2003, Boeing decided that its customers wanted the most fuel-efficient aircraft possible. Rival Airbus Industrie, a unit of European aircraft consortium EADS (EADSY), decided the airlines wanted the biggest aircraft, and built the double-decker A380. Boeing clearly picked right. The 753 orders for Dreamliners before its first flight in 2011 is an industry record for a new aircraft. Airbus has orders for only 257 of the A380s, although it has been able to deliver 92. Related: Is Boeing's Dreamliner history's biggest lemon? Will the problems be solved? Because of the demand for the Dreamliner, experts believe Boeing will work out whatever's wrong. But the cost could be substantial, and no one knows for sure how long it will take. "This is somewhat of an unprecedented situation for Boeing," said Leake, who on Thursday cut his recommendation on the stock to the equivalent of a sell. "They have to make this work and they will make it work. But no one can say what the costs will be."